I decided I have a bad habit of using good weather for most of my environments, this one is different! 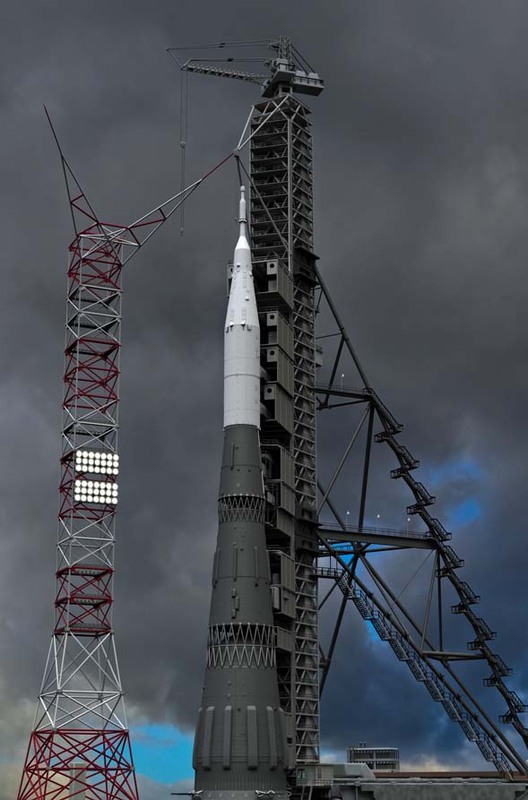 N1-3L at the launch tower, against a stormy sky. And this time from the front. In case you are wondering, the tall towers are to protect from lightning. 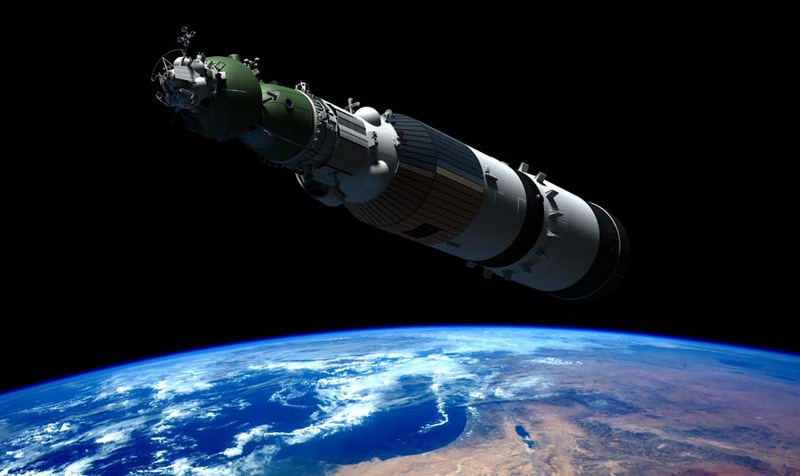 Looking down as the 3rd stage is dropped and the l3 section fires up. 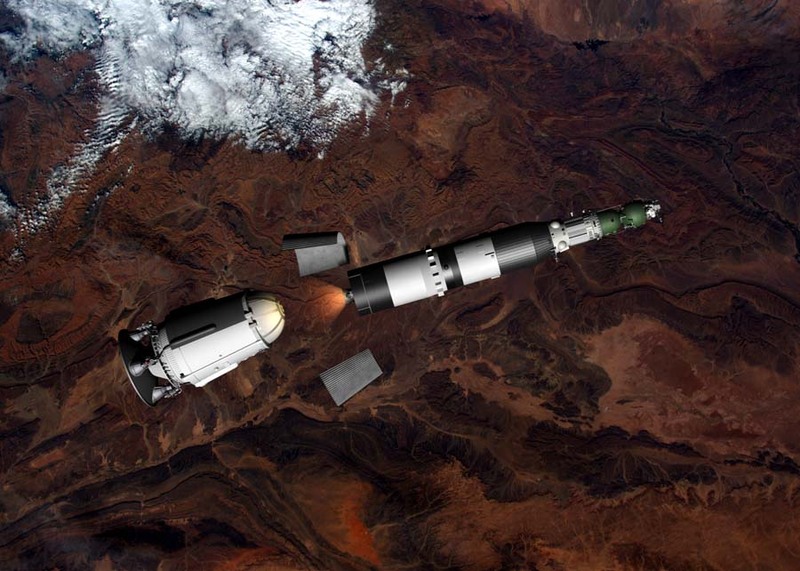 This shows a view over desert as the third stage of the N1 is dropped and the engines fire to take the upper section to the Moon. 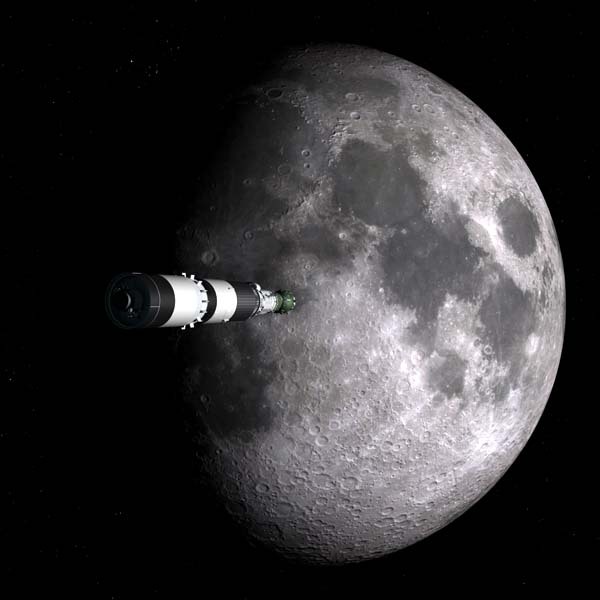 The L3 section heads to the Moon. I did an animated scene like this for the kickstarter video. Again, I did an animated scene like this for the kickstarter video, closer in. 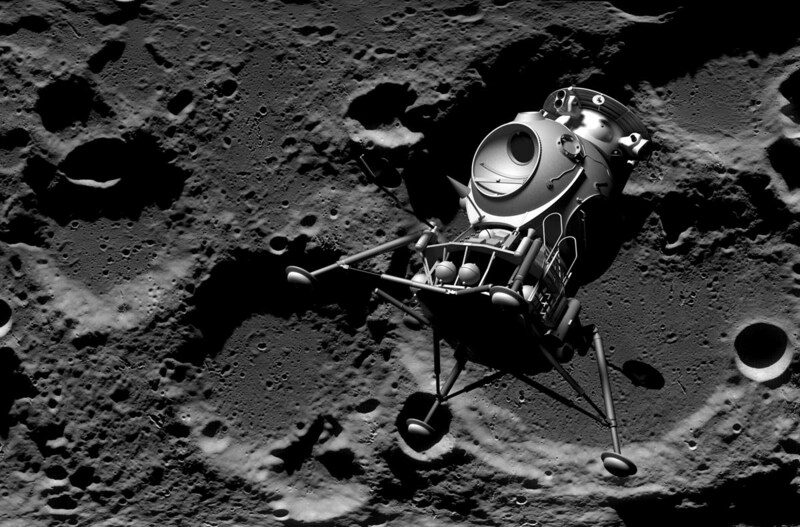 In the kickstarter video, the LK Lander turns as it descends to the Lunar surface scrolling below. 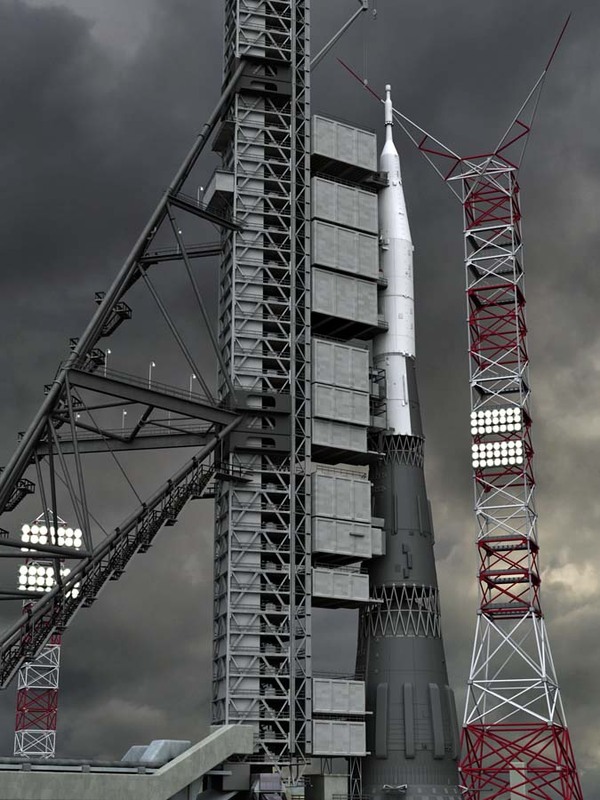 And plenty more N1 material here on this site if you explore!